Something to look forward to: You might be rich enough to afford the $1,980 Galaxy Fold, but that doesn’t guarantee you’ll be able to grab one. As previously rumored, the device will have highly limited availability, and Samsung is planning a high-end, luxury rollout. Following years of speculation, the Galaxy Fold was finally unveiled alongside the S10 phones at an Unpacked event last week. While most people knew it would be expensive, there were audible gasps from the audience when the near two-thousand-dollar price was revealed. The Fold’s high cost means it was never intended for mass market—unlike the S10s, you’re not going to find them packed onto stands in your local stores. In an interview with The Verge, Samsung UK executive Kate Beaumont confirmed as much. “We’ll have less supply than we would of the S10 at launch, and also how it goes to market is really important to us,” she said. Samsung is planning a full press event at the beginning of April that will reveal more details about the Galaxy Fold, including where and how consumers can buy one when it launches on April 26th. 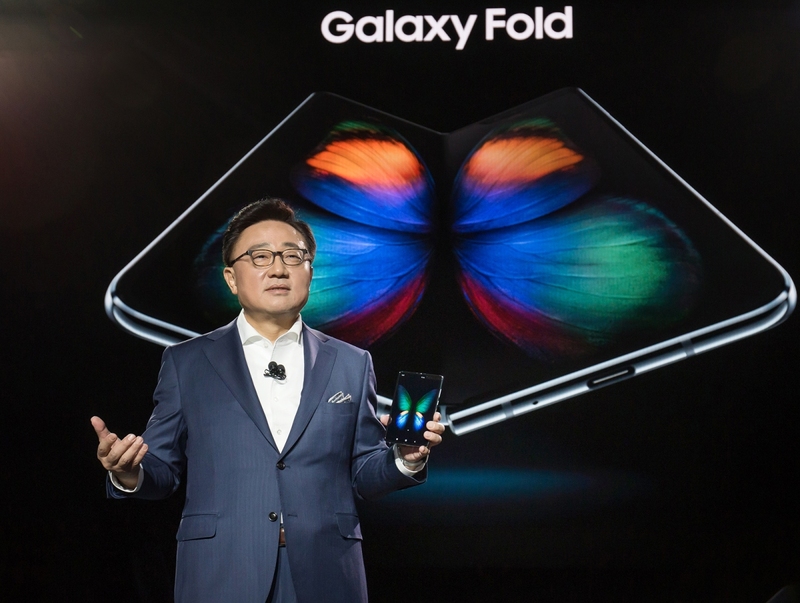 While Samsung is aiming the Galaxy Fold at a particular demographic, the biggest challenge may come from rival Huawei. Its Mate X looks like a better version of Samsung’s product, with the display facing outwards to create a dual-screen smartphone when closed. Ultimately, though, we’ll have to wait and see how the public takes to these expensive devices.